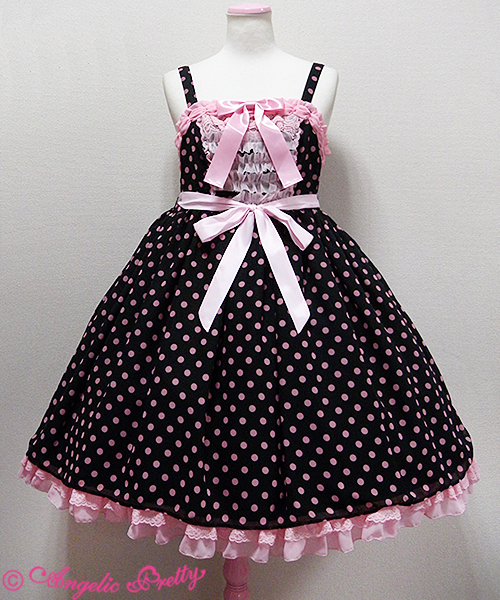 Bought second hand, worn a couple of times by me. 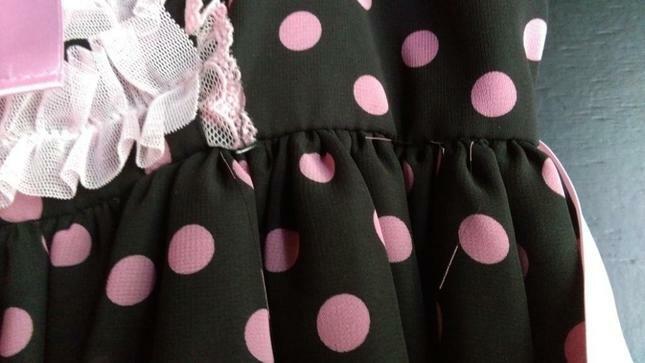 In overall great condition, except for a few loose threads (please see close up images for details). 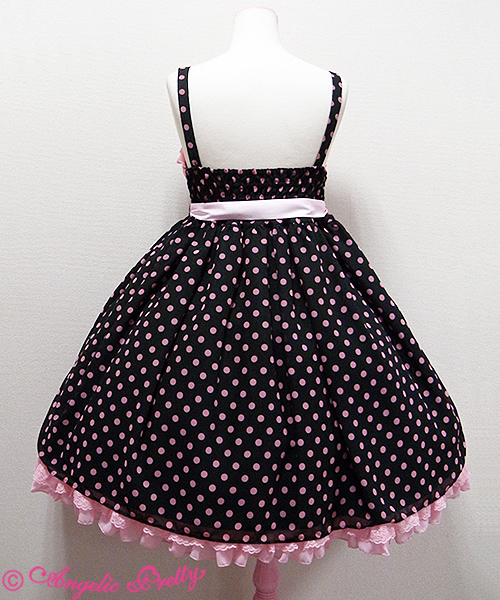 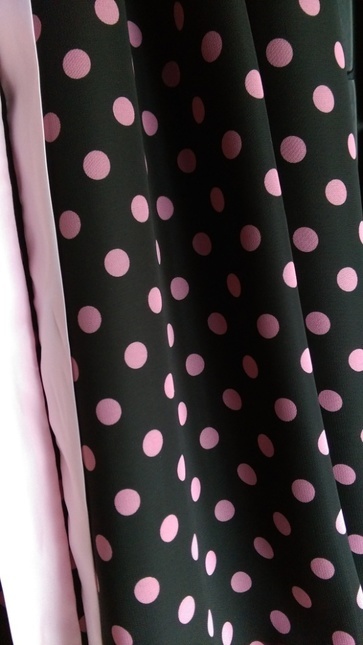 This is the black x pink version of this JSK. 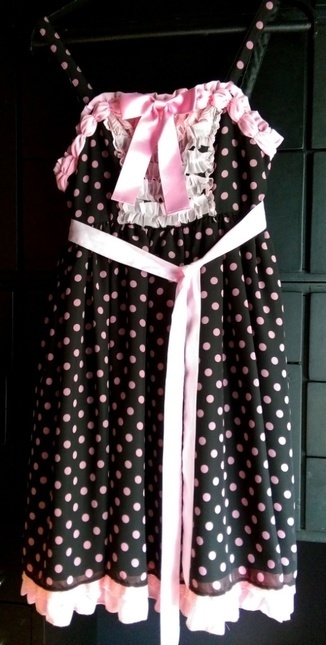 It has two pockets, adjustable shoulder straps, and both the ribbon on the neckline and the waist ribbon are removable.